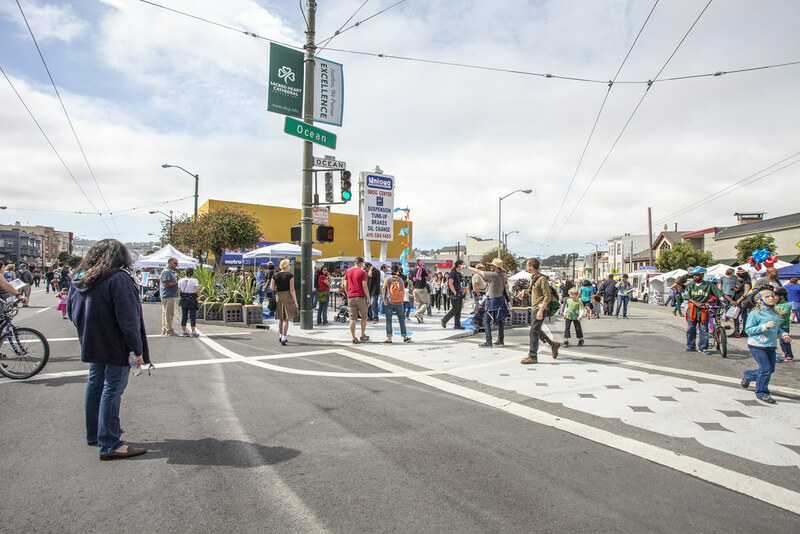 The Excelsior Neighborhood is a dynamic community with a bustling commercial main street and few public gathering spaces. 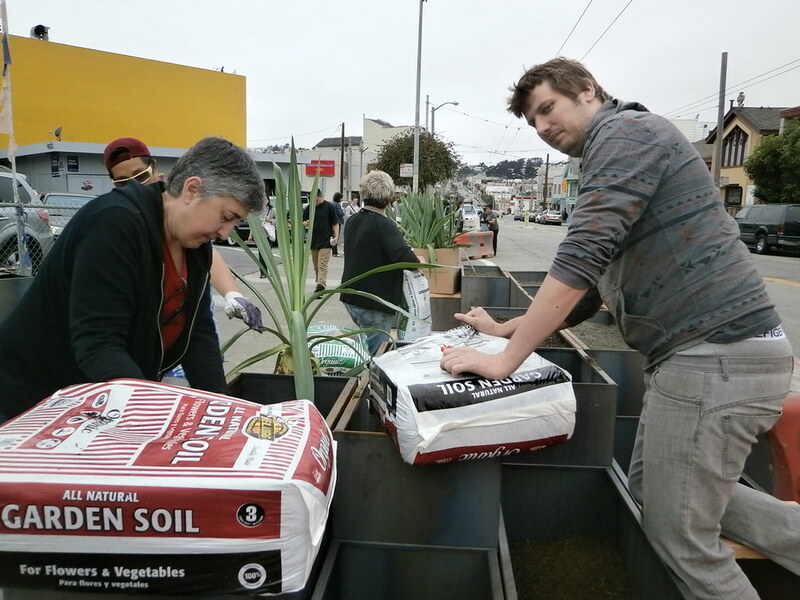 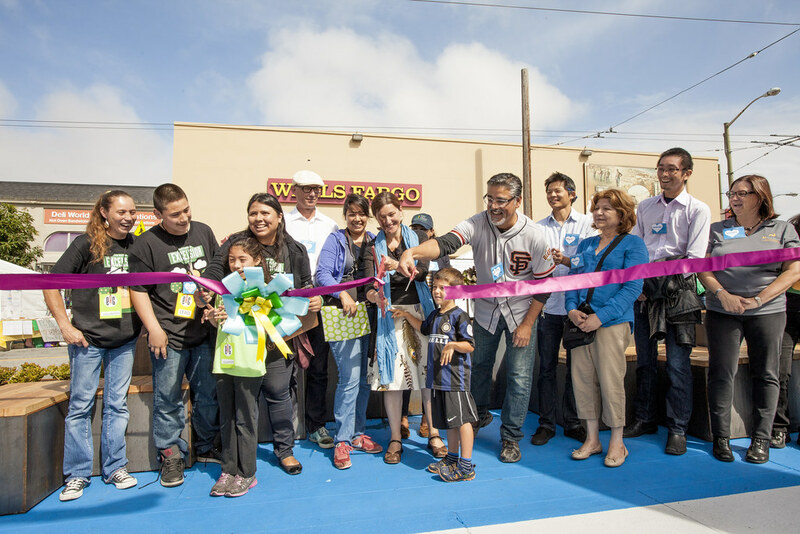 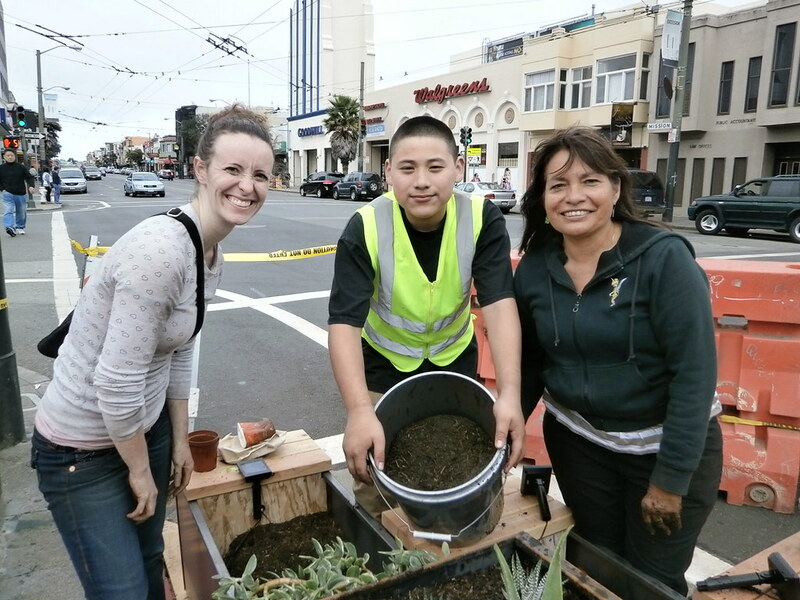 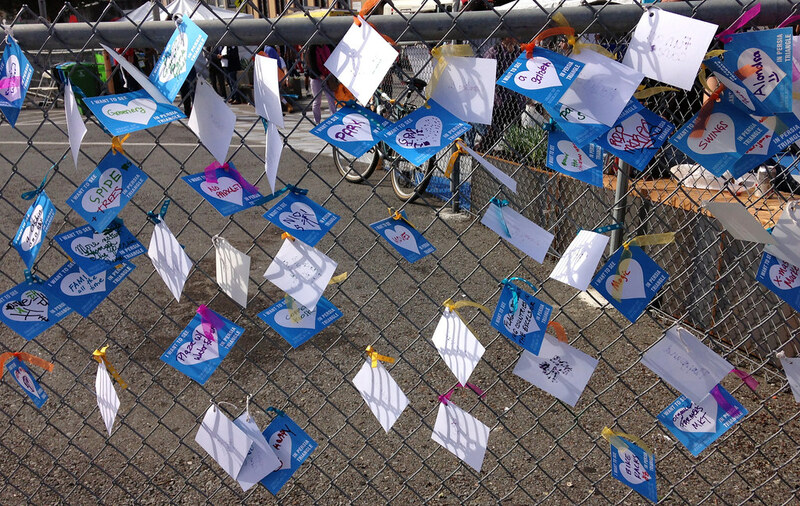 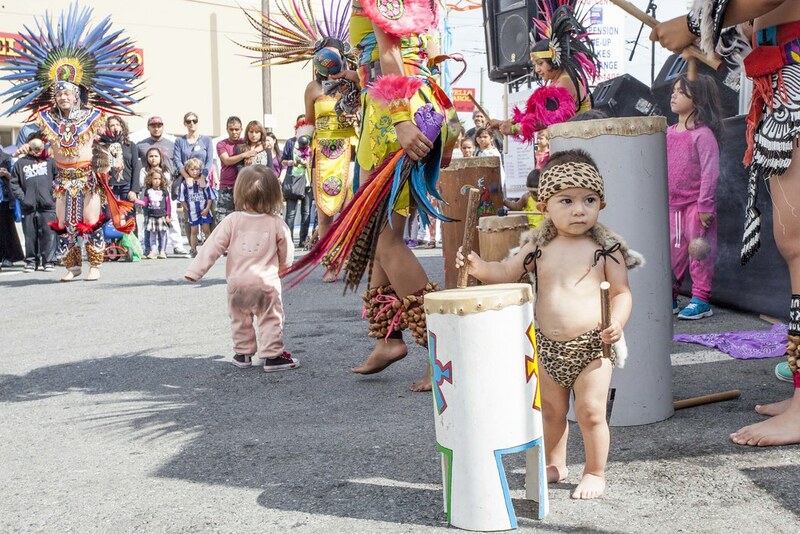 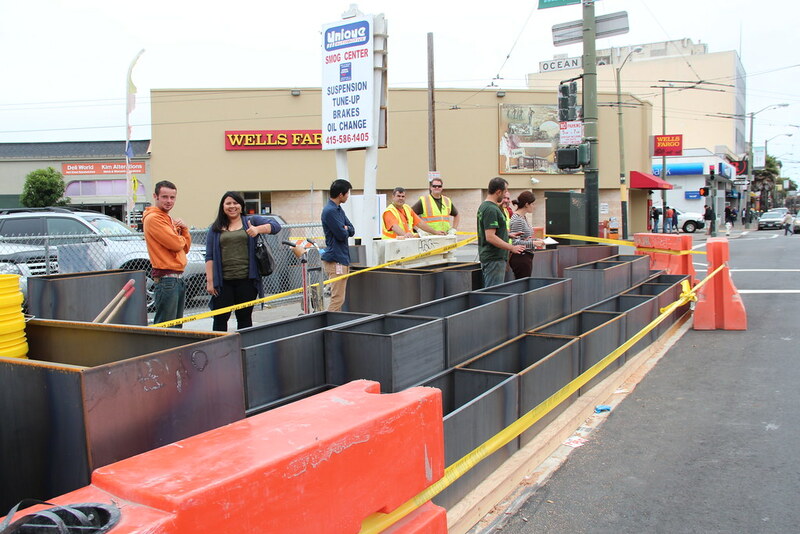 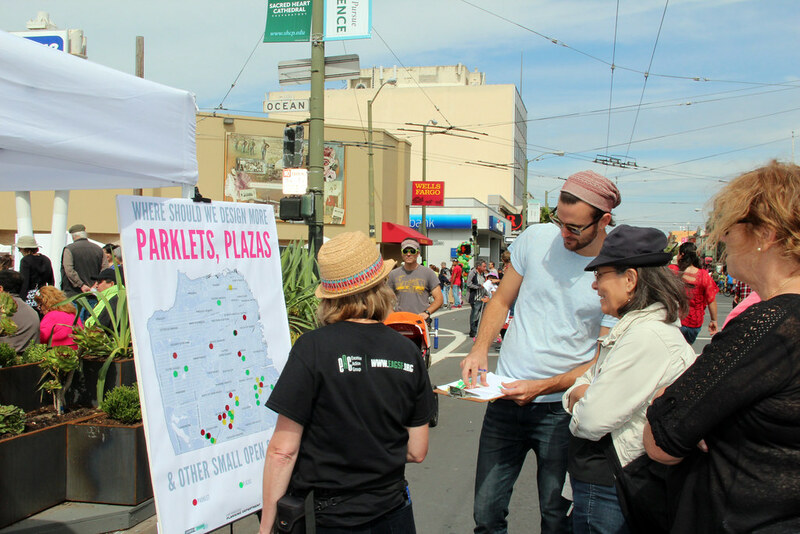 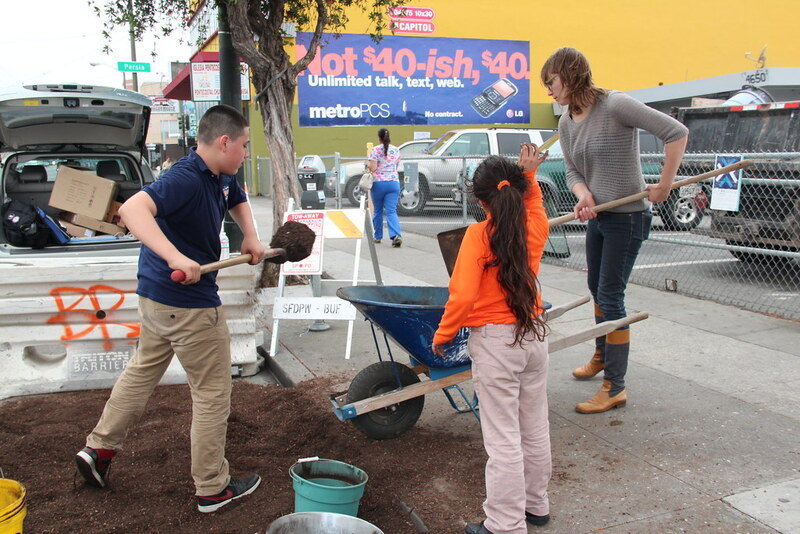 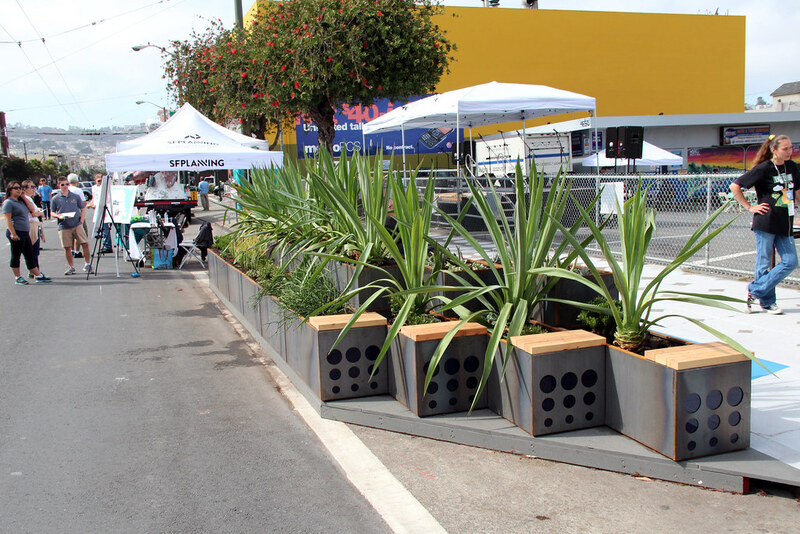 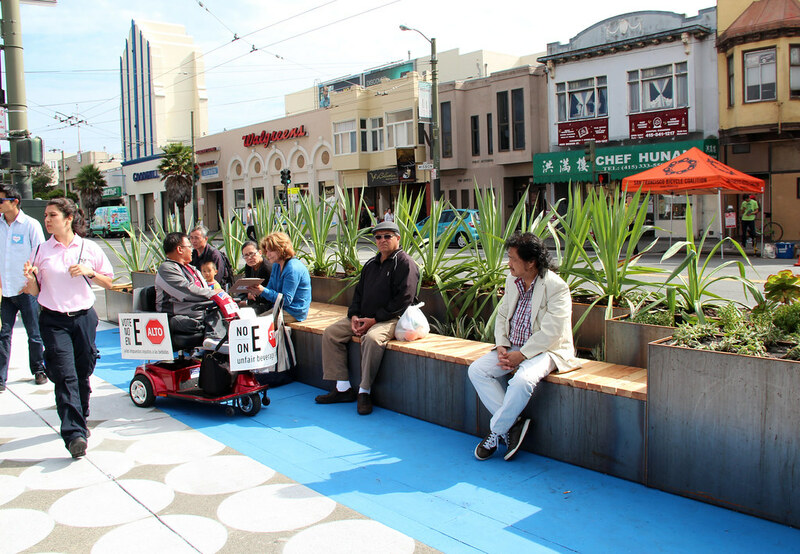 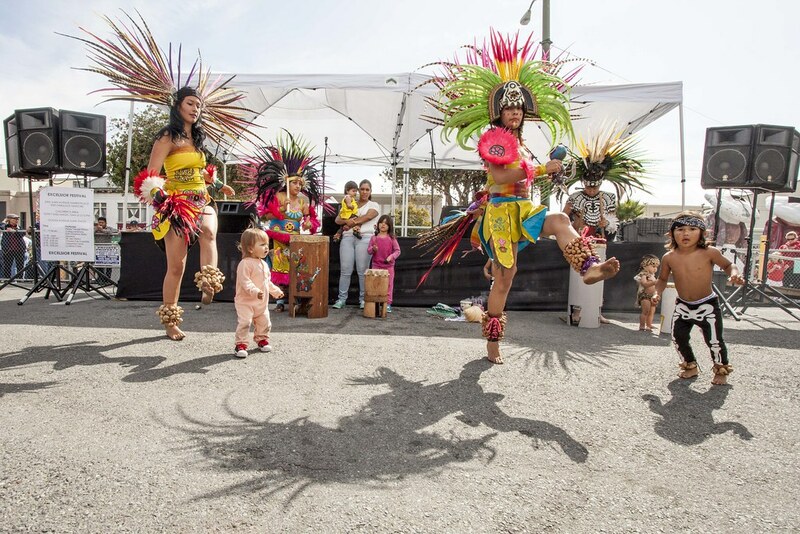 In 2014, the corner of Ocean Avenue and Mission Streets - the heart of the Excelsior - was transformed into a temporary public plaza that included seating, planters, and decorative sidewalk paint. 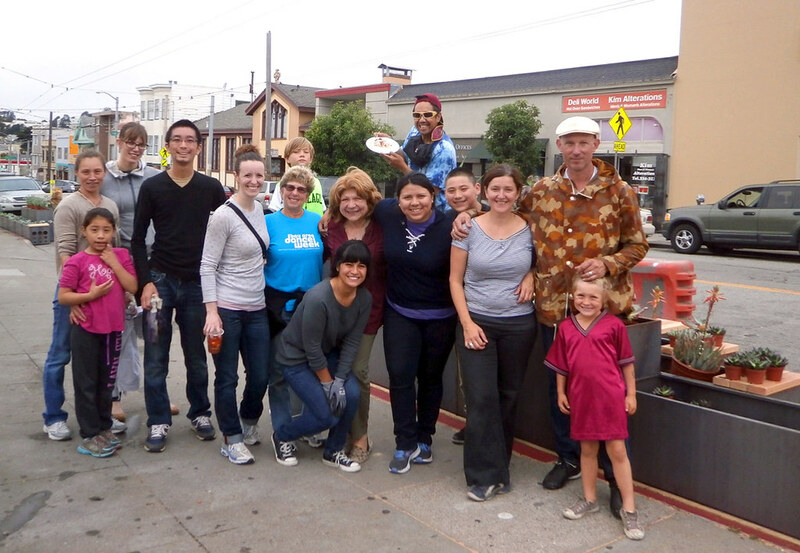 The location quickly became a hub of community life. 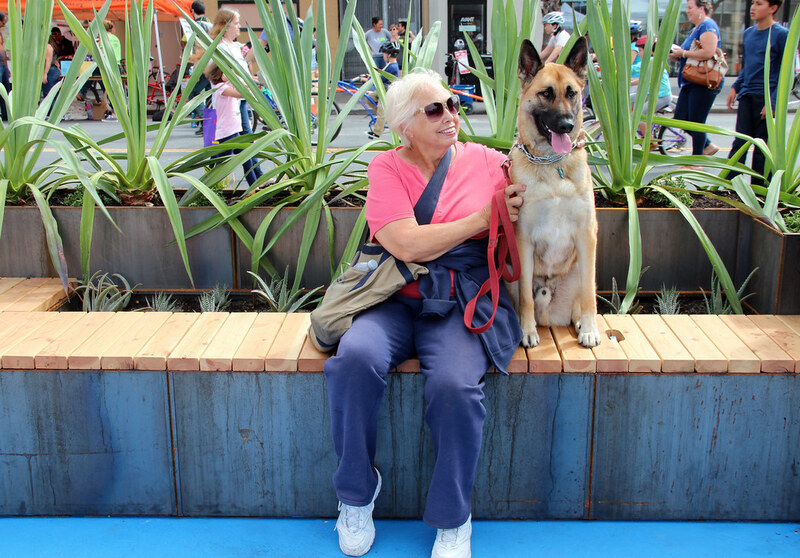 While improvements were de-installed in order to allow for the construction of wider sidewalks, a new, more permanent version of the plaza was installed in Fall 2016. 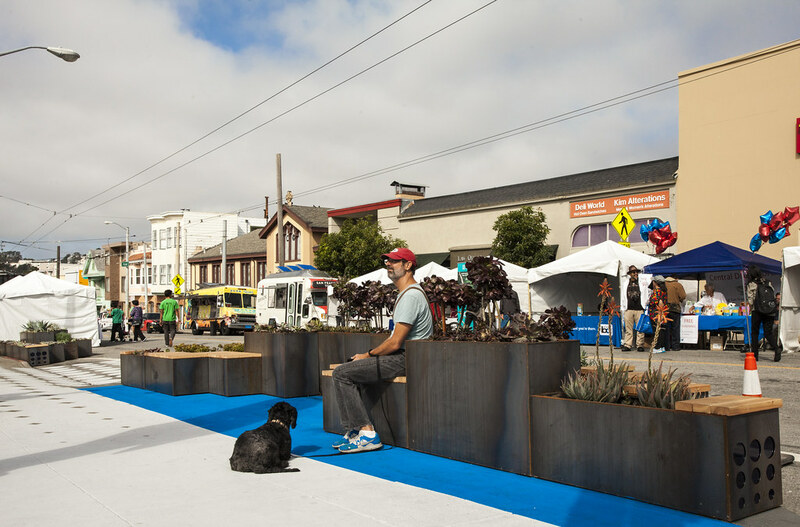 The plaza features corten steel and wood benches, fiberglass planters, and decorative sidewalk paint. 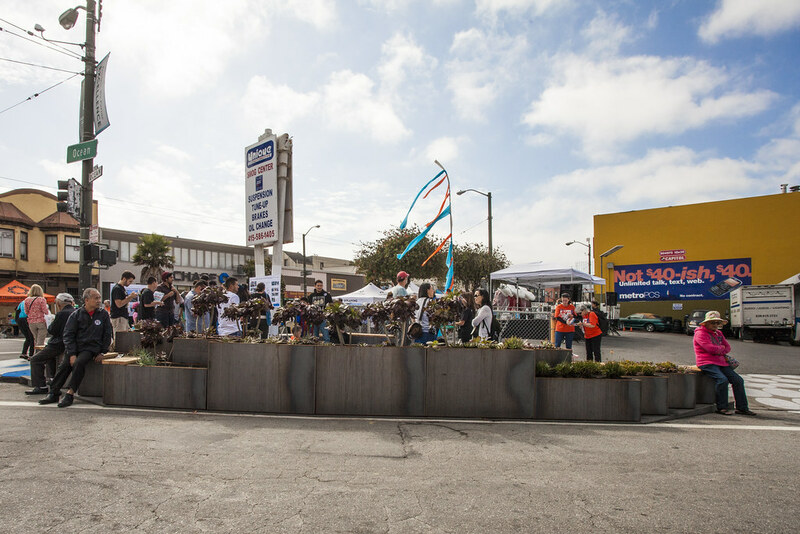 More about the temporary plaza.